Procedure for organ donation in Russia may be simplified | Russian Legal Information Agency (RAPSI). MOSCOW, November 28 - RAPSI. A bill will shortly be submitted to the State Duma stipulating that every Russian citizen will automatically become an organ donor after their death if no refusal was made during their lifetime, State Duma deputy Oleg Kulikov told Izvestia daily. "According to the bill, it will be forbidden to use an individual's organs only if these wishes were expressed in writing. If there is nothing in writing, it will automatically be assumed that the use of the organs is allowed. Furthermore, relatives will not be allowed to have a say in the matter," according to the daily. At the moment, the law On the Transplantation of Organs and Tissues is in effect in Russia. It was adopted in 1992. It stipulates that if employees of medical institutions are not aware at the time of individual's death whether he wished to be an organ donor, he will automatically become one, provided that close relatives do not prohibit it. The use of the organs of a deceased individual is currently not allowed if it is known that, while alive, the individual or his close relatives or a legal representative stated the person's refusal to be an organ donor after death. It was reported earlier that the Healthcare Ministry was drafting a bill, which retains the concept of "assumed consent" but also introduces opportunities for a declaration of intention during a person's lifetime. 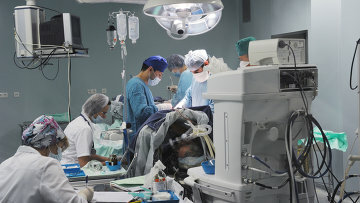 Kulikov believes that apart from the clear ethical element (with the deceased helping the living), organ transplants solve a number of economic issues.